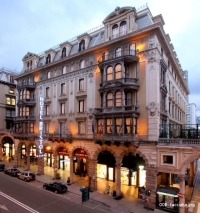 Workshops and the Tuesday tutorial will be hosted by Hotel Bristol Palace (150 meters from Palazzo Ducale), one of most prestigious hotels in Genova since its opening in 1905, well known for the quality and the excellence of its services. The elegant palace is in the center of Genova, just a few steps from Palazzo Ducale and the Carlo Felice Opera theatre, as well as the most prestigious shops, museums and the aquarium. During its recent renovation its elegance and exclusiveness were blended with a modern and functional conception of the services. 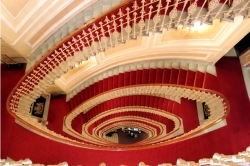 The dramatic elliptical staircase in white and Liberty wrought-iron banister soars up to the top floor in a spectacular spiral that seems to suspended in space. Palazzo Ducale will host the sessions of the main conference and the Wednesday and Thursday tutorials of the Summer School; furthermore, all lunches from Monday until Friday will be served at Le Terrazze del Ducale, on the terrace of Palazzo Ducale. 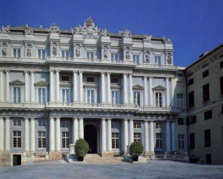 Throughout the centuries the Palazzo Ducale in Genova was regarded as the seat of power of the Republic and the Doge's residence. The construction of the Palazzo Ducale in Genova began during the flourishing period of the Republican history of the city (13th-14th centuries). The medieval structure however disappeared with the works carried out during the 16th century; the Palace acquired a new appearance which would represent more fittingly the new oligarchic Republic. After a long and important restoration lasting ten years, the palace is today not only a historical building but also an intelligent structure, the beating heart of cultural and social activities of Genova and its territory. Inside the Palace, the halls for congresses and conferences are placed within the 17th century spaces. 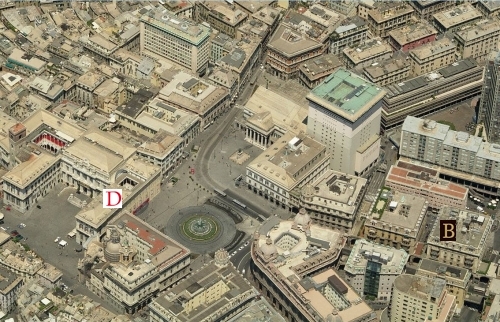 Situated in the city center, with a main entrance on Piazza De Ferrari and another one on Piazza Matteotti, Palazzo Ducale is optimally connected through public transportation to the Genova Brignole (10 minutes by walking) and Genova Principe (15 minutes by walking) railway stations as well as to the Cristoforo Colombo airport (20 minutes by bus from the airport to the Principe Station).